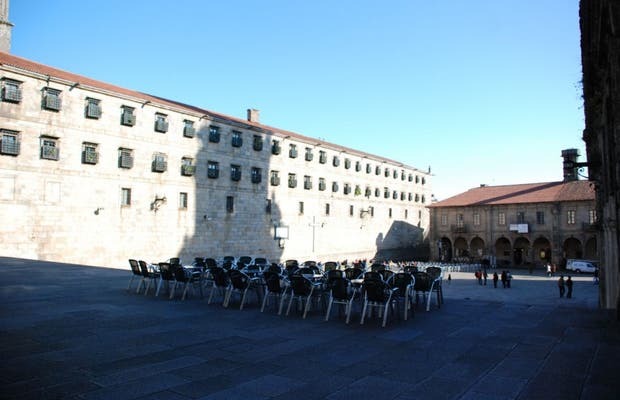 Café Literarios is a cafe at the top of the steps of the Plaza de la Quintana in the historic center of Santiago de Compostela. Its name comes from the the plaza's nickname of "Literary Square" in memory of the literary battalion that fought against Napoleon's troops. It has a great location next to the cathedral and offers beautiful views over the square. If the weather's good, I recommend siting on the terrace which is one of the nicest in Santiago. You might well hear the sound of the Berenguela bell from the cathedral tower while you eat - a truly impressive experience.